Celebrating Diwali: I want clothes like these! Learning a little of the language is just one of the things we do before visiting another country. There is a lot that goes into leaving the country for a month especially when you travel with your child. We are much better at packing than we were when we started traveling. The bags keep getting lighter. When we take our long trips, we do not stay in one place so it really matters how heavy your bags are. Culture & language: What is the culture like? We had the benefit of learning something about the culture from our wonderful Hindi teacher, Sandeep. Each Tuesday night for 8 weeks, Sandeep would teach us some Hindi and something about the culture. One thing we wanted to do was celebrate New Year in Delhi. We will get to celebrate OUR New Year in India, but surprise, the Hindi New Year is called Diwali (pronounced duvali) and it already happened on November 3 while we were in the states. There is that paradigm shift again, where I learn that the rest of the world doesn’t do it like the one I have been immersed in my entire life. Luckily, we had our Hindi teacher invite us to have Diwali dinner at his house. 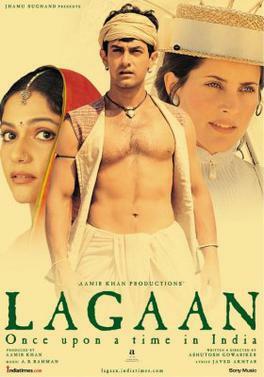 One of the things I loved best in Lagaan was the singing. This is a serious film about a serious subject and there was singing. Yes, I want to visit a country where serious films have singing. I cannot wait to experience this joyous culture. I re-watched Monsoon Wedding and watched for the first time, Like Stars on Earth. Both were marvelous!!! Full of singing of course. And those Indian men can really dance. Maybe Sean and Jim can pick up some moves while we are there. look forward to watching those films. saw Monsoon Wedding. How exciting!!!! wonderful- keep it up ! !